Was it 2015 or 1925? It was hard to tell at the Ralston’s Crossing Event Center last Saturday night. 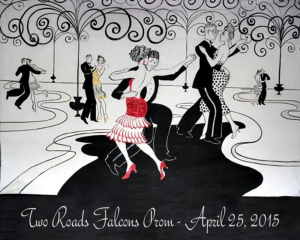 Roaring 20’s was the theme and Two Roads Charter School prom goers got the memo. 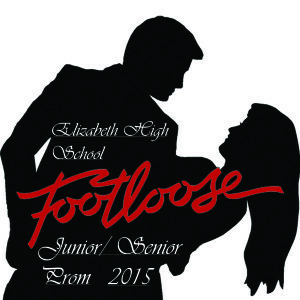 Elizabeth High School prom goers know how to cut loose! April 24, 2015 was a night to remember at the Spruce Mountain Ranch. The music was poppin and Masters Memories’ photo booth was hoppin. I brought goofy hats for props but these guys had real hats and they wore them well. 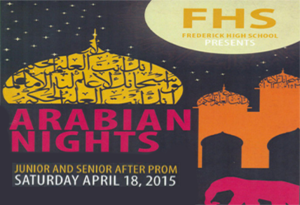 Frederick High School knows how to have an After Prom Party! 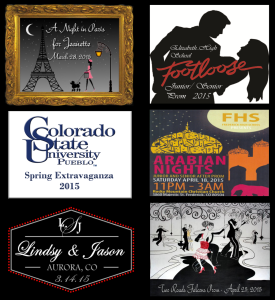 Whether you want to enjoy a huge bouncy house, oversized tricycle racing, or the best photo booth in Colorado, you needed to be at the FHS After Prom on April 18, 2015. There was even a Princess flying around on a Magic Carpet. The pre-release screening of Age of Adeline at the Landmark Theater in Greenwood Village, CO was a gala affair. 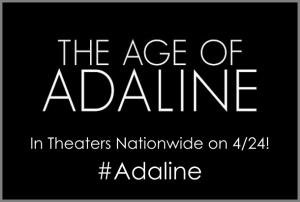 Many movie goers were dressed in 1930’s and 1940’s period clothing and the movie Age of Adeline did not disappoint. A classic love story, and Masters Memories … a winning combination – #Adaline. Party Booth came out to play for the first time on April 11, 2015. 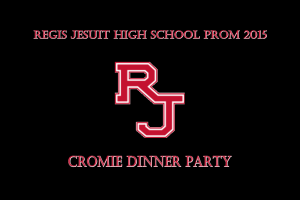 Mr. and Mrs. Cromie hosted a fabulous dinner party for a very lucky group of Regis Jesuit Prom goers and they invited Party Booth. See all the fun the students and their parents had here. 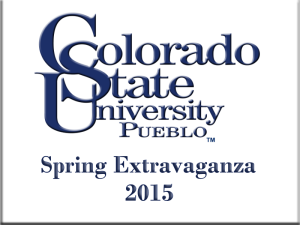 Fun was had by all at the Spring Extravaganza on the CSU Pueblo campus. College Students can be pretty goofy when you put a camera on them. 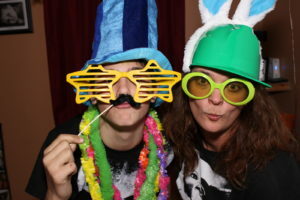 See the photo booth pictures in the new online gallery. New Online Gallery and Slideshows – Check It Out! Introducing the new and improved Masters Memories Online Gallery. View and download full resolution copies of all photos taken including the individual photos taken to make up the photo booth print. Click the Slide Show Link from any Gallery. No cost, no watermarks, no copyright restrictions, No hassle. Just beautiful 10-18 megapixel originals of all the zany fun you had making memories with Masters Memories Photo Booth. Share your Gallery Link with friends. Jeanette was beautiful in her stunning Red Ball Gown. The decorations were amazing. 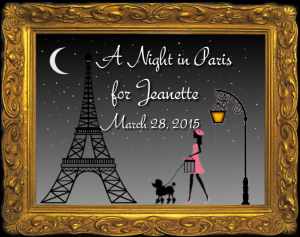 It truly was “A Night in Paris”. 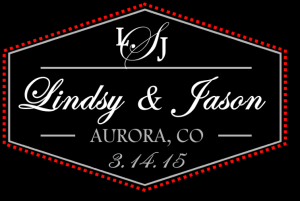 Lindsy and Jason’s wedding was a wonderful celebration with family and friends. The Music, the Venue and the Photo Booth were hoppin all night.